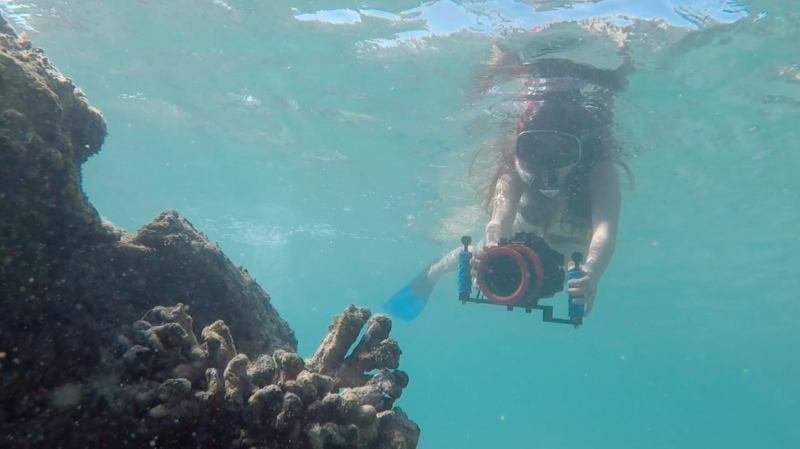 Oxybenzone and other chemicals in common sunscreens have been found to kill juvenile corals and lower the temperature at which corals bleach by 8 degrees Fahrenheit. To help coral reefs survive the many factors causing them stress, read your ingredient labels and choose products without oxybenzone, octinoxate, parabens and other harmful chemicals. We signed on to this international PSA to end the sale and use of sunscreens with oxybenzone in the state of Hawai’i and beyond. 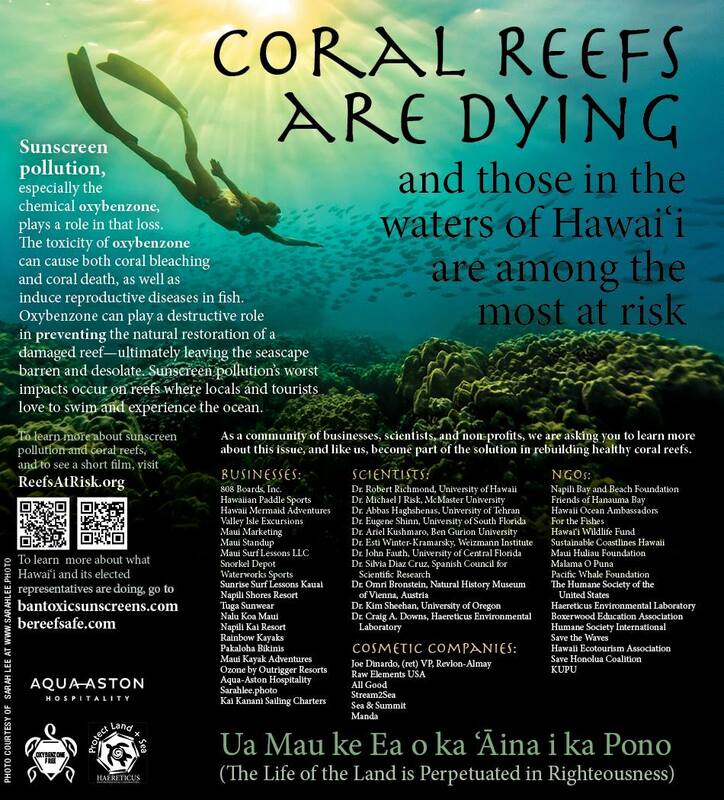 To learn more about this issue and what each and every person can do to protect the coral, watch the 11 minute documentary “Reefs At Risk” made by Malama O Puna member Malina Fagan and Lynn Pelletier. You can also donate online through PayPal and specify that your donation is for Reef Safe Sunscreen Initiative. Malama O Puna is a nonprofit organization; all donations are tax-deductible.